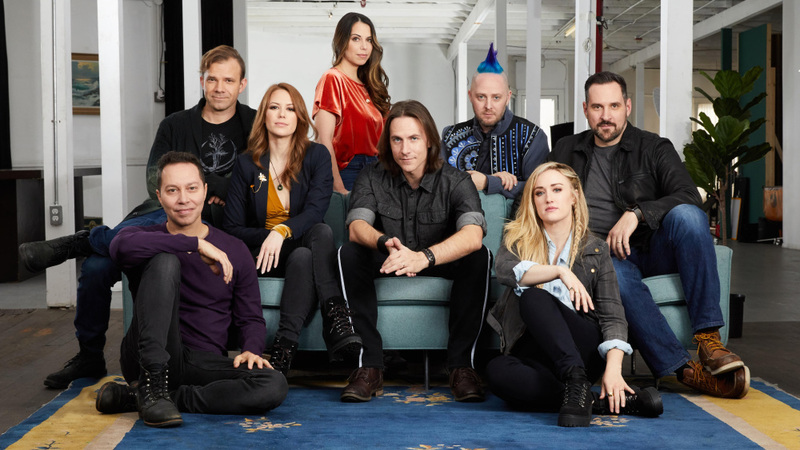 A big thank you to the Critical Role team for reaching out and let us ask some questions about their upcoming cartoon, “The Legend of Vox Machina”, and to Matt Klein for contributing questions. Executive producers Sam Riegel and Travis Willingham were kind enough to talk with us. Be sure to check out their Kickstarter campaign, which is closing in on $7 million. There was an incredible outpour of support from the Critters (Critical Role fans) when the [Kickstarter] campaign launched. Where were you both when the campaign hit its goal, and what was your first reaction to the news? SAM RIEGEL: I was traveling the day the Kickstarter launched, on a multi-leg flight home. It was surreal because while everyone else was watching the numbers in real time, I had these long periods in the air where I wouldn’t know what was happening. Every time I landed and checked my phone, I would stand there in disbelief, in the middle of a busy terminal, floored by the response and the number of backers we were seeing. It’s only been a week, and I still can’t believe it’s real. TRAVIS WILLINGHAM: That Monday was a complete train wreck of a day. Laura [Bailey] and I were busy trying to get ready for our recording sessions, while keeping an eye on our 8 month old. Needless to say, after the first 15 minutes of the campaign going live – we knew we were going to be insanely late. We hadn’t showered or dressed, and just stood there squeezing our son in disbelief – trying to comprehend what we were seeing. Several calls were made into the office simply asking if Kickstarter might just be “broken”. What we thought might happen in the span of a month or so, was happening in a matter of hours. It’s something we’ll never forget. Your campaign reached $1 million in a few hours and over $3 million within a first day. The pitch was a 22-minute short, but now that you have enough funding to evolve it into a series, where is that limit now? If fans continued funding, would you simply adapt more of the Vox Machina campaign? Every dime of the Kickstarter amount is going towards the animated series, with the exception of the money we’ll need to fulfill the super-cool rewards we’ve promised to our backers (and a little leftover for processing and fees). Through this whole process, we decided to let the fans – the Critters – guide us. They’re in the driver seat. On comments, social media and chat rooms, the overwhelming reaction was “Make more episodes!” So we’re listening to them. We’re astounded that we can start telling the Vox Machina campaign this quickly, and can’t wait to tell as much of it as we can. Part of what I love about Critical Role is the improvisational chemistry between the cast and Mercer’s ability to weave every on-the-fly decision into a larger narrative. With Jennifer Muro coming in to pen the series, will the cast still have any input on their character’s slice of the story? Of course! Now that we’re going to be revisiting popular story arcs from the Critical Role streaming series, we will absolutely be meeting as a group and figuring out which elements we want to focus on. The Briarwoods Arc covered over 50 hours of gameplay time — so obviously we can’t tell every word of it. With Jennifer’s expert hand guiding us, we will be adapting that arc for the animated series, highlighting the best, most iconic moments, and also exploring details of the story we may have glossed over in the initial play through. When we initially pitched the Critical Role animated series, it was a mixed bag. Some execs had heard of the show – usually from their employees who happened to be Critters. But the ones who had not definitely took some time before they understood the scope and reach of the Critter Nation. In any case, with the success of this Kickstarter Campaign, we hope the “grownups” at these major media companies have finally taken notice. As Kickstarter says, their platform is really a way for fandoms and communities to make their voice heard, and tell bigger media enterprises what kind of shows they want to see. I can’t even begin to think about making another cartoon series before we’ve made this one. But in any case, I would hope that next time it will be an easier sell! How different is the format for the cartoon going to be versus the live tabletop game? Can we expect any similarities, like Mercer’s narration or side-conversations between the cast? While the exact format is still being developed, the main difference will be that the streaming show is an improvised format — but our animated series will be scripted. Regardless, the banter between characters will still be raunchy and fun, Matt Mercer will still be providing the voice of many of the folks Vox Machina meets along the adventure, and the battles will be just as epic as ever. And lastly Sam, real quick: your bard Scanlan tended to do a lot of pop culture song parodies in the first campaign. Will we be hearing any original music from you for this series? SAM: I’m not sure our budget – as mighty as it seems – will support licensing the Top 40 pop hits that Scanlan frequently parodied on the streaming show. But I can promise that Scanlan will sing on the animated series. And it will be glorious! 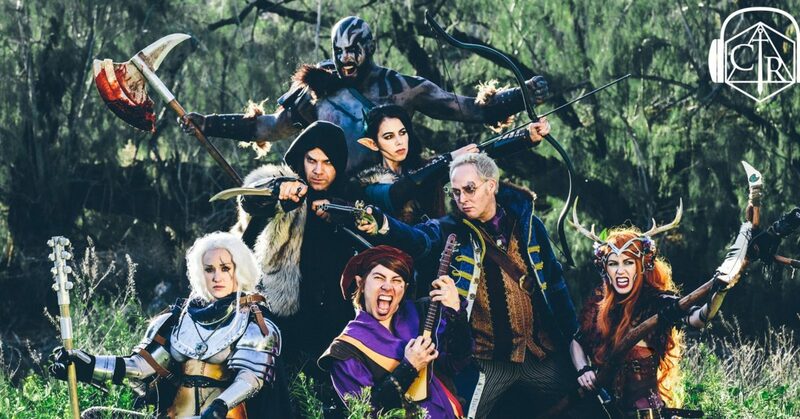 Critical Role airs live on Twitch every Thursday night at 7pm Pacific. An award-winning writer and musician, most noted for his 2017 ban from ever contacting the staff of Buzzfeed again.